Matt. Willie, @TimDeKay and Bomer today after we recorded #WhiteCollar S3 Commentary.. Wallpaper and background images in the Matt Bomer club. 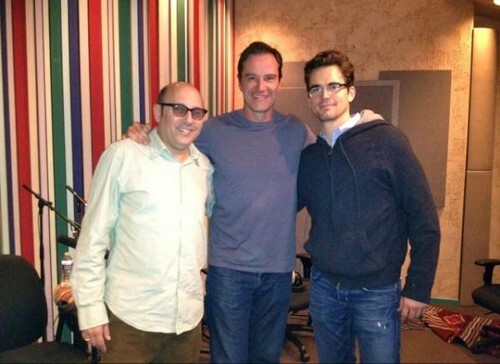 This Matt Bomer photo might contain salle de dessin, signe, affiche, texte, tableau noir, tableau, and affiches.